Objective: This study evaluated the foot and ankle disorders developed among patients treated by a multidisciplinary team of the diabetic foot group outpatient clinic at our institution using a specific protocol. The natural disease progression of these patients was examined after a 12-year follow-up period. Methods: The data collected included gender, age, body mass index, disease duration, insulin use, duration of insulin use, tobacco use, peripheral pulse palpation, history of previous partial foot amputations, foot deformities secondary to peripheral neuropathy, degree of foot sensation assessed using the Semmes-Weinstein monofilament test, association with ulcers as evaluated by the Wagner classification, and the presence of Charcot foot as evaluated by the Brodsky anatomical classification and the Eichenholtz radiographic classification. Results: We prospectively evaluated 578 patients with type 2 diabetes and found that they had a mean disease progression of 14 years; 53% were insulin-dependent, with an average insulin use duration of 9.7 years; 9.8% of patients had previous amputations performed by a vascular surgeon due to acute arterial insufficiency; 72.6% lost protective sensation according to the sensation assessment associated with deformities secondary to peripheral neuropathy; and 21.5% presented with hallux valgus and claw toes, 12.6% presented with ulcers, and 9.5% presented with Charcot neuroarthropathy. 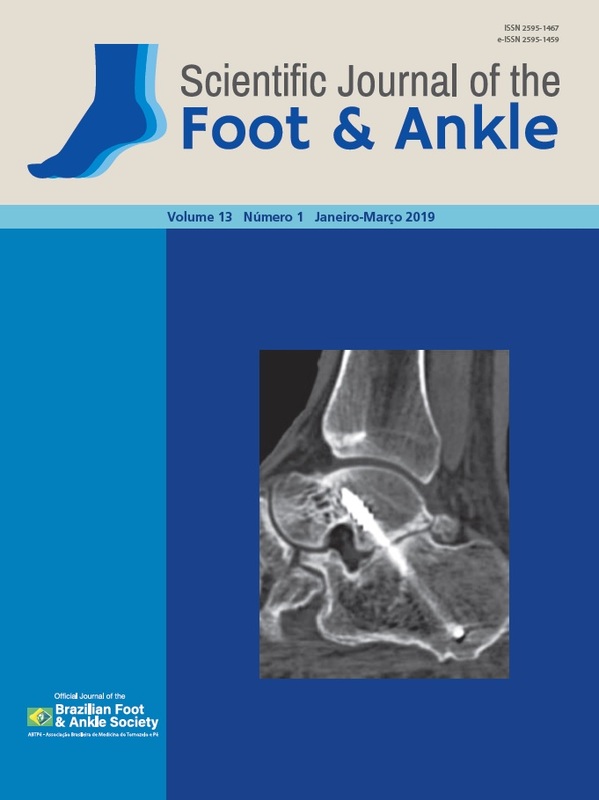 Conclusion: A treatment protocol overseen by a multidisciplinary team and the use of therapeutic footwear to protect insensitive feet were associated with low rates of plantar foot ulcers and Charcot neuroarthropathy. Level of Evidence II; Therapeutic Studies; Comparative Prospective.